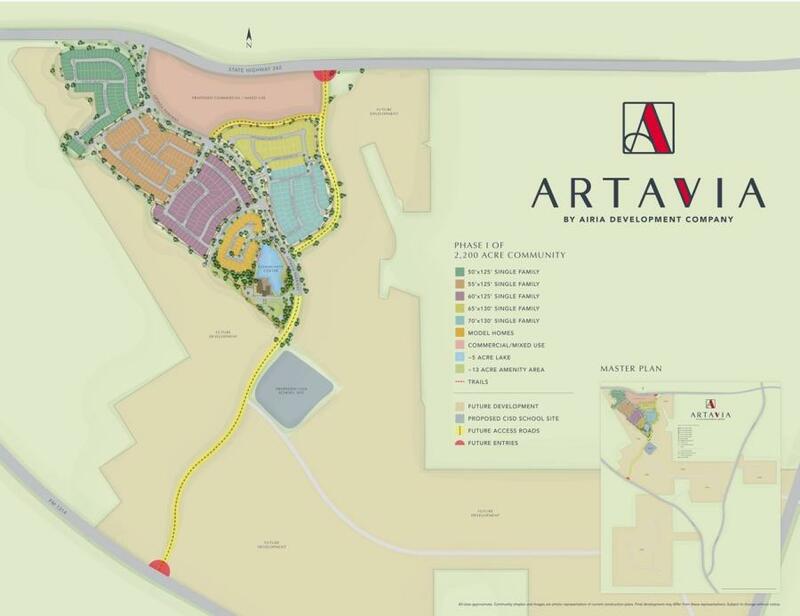 AIRIA Development Company announced on Feb. 26 the development of ARTAVIA, a 2,200-acre master-planned community in the Montgomery County/Conroe area. ARTAVIA is located north of the Grand Parkway, midway between I-45 and U.S. 59, and south of SH 242. Homes in Phase I are expected to range in price from the $280,000s to the $500,000s. The development will bring approximately 5,200 homes to the area, and plans currently include more than 120 acres of mixed-use, commercial and retail properties. The build out value is estimated to be $2.4 billion. 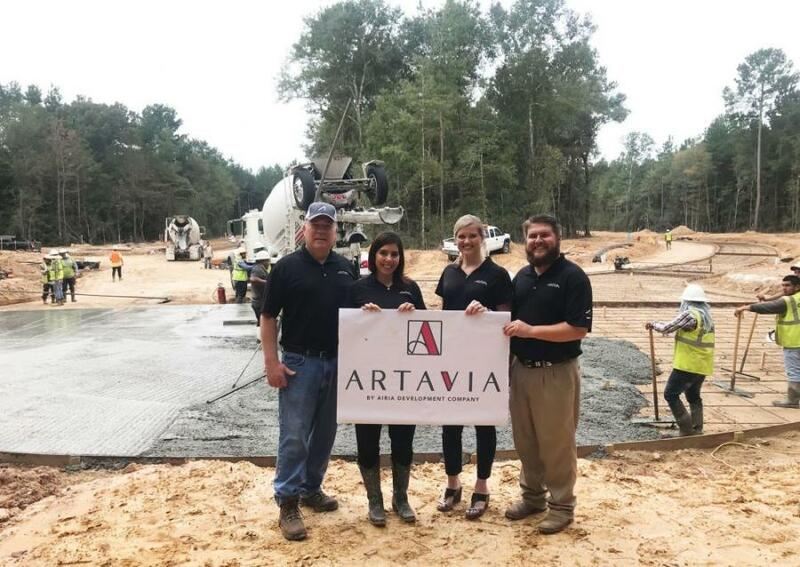 "One of the first things you will notice about ARTAVIA is the intentional addition of color to the land's natural beauty," said Travis Stone, president of AIRIA Development Company. "The artful design of nature in this heavily wooded area inspired us to create a community that would encourage residents to live colorfully by connecting with the outdoors, bonding with neighbors and forming lasting memories." At the heart of ARTAVIA will be a 13-acre community complex overlooking a five-acre lake with paddle boats and a kayak launch area. The complex is being developed to include a contemporary-style clubhouse featuring a 24-hr. fitness center, café and gathering spaces. Surrounding it are intended to be thoughtfully designed areas promoting imaginative play, outdoor living and an active lifestyle. Among those are a meditation rain garden, splash pad, nature exploration area, event lawn, playground and an interconnected forested trail system. Regularly scheduled events, classes and activities will be facilitated by a community lifestyle manager. ARTAVIA is the second community for AIRIA Development, the company behind Aliana, the highly successful master-planned community in Richmond, Texas. Aliana has been ranked one of the top five best-selling communities in Houston for the last six years. In 2018, Aliana was placed in the top 30 in the nation with RCLCo and John Burns, two prestigious community standings reporting agencies. Known for promoting a sense of community where residents can live, work and play, AIRIA Development will bring its same high-level of expertise and passion to ARTAVIA. "The timing is ideal for the opening of ARTAVIA," said Lawrence Dean, regional director of Metrostudy's Houston market. "Its location will be even more convenient and accessible, with major infrastructure improvements on SH 242 currently under way. The price points are in the sweet spot of the Houston market as Conroe/Montgomery County is one of the fastest growing areas in the nation, with a 29 percent growth rate year over year." Students living in ARTAVIA will attend the highly sought-after Conroe Independent School District, considered to be a destination district with significant growth. The community is currently planned to accommodate future Conroe ISD expansion, which is estimated to grow to 76,000 students by 2028. Construction on model homes will begin in early 2019 with expected completion by the summer. For more information, visit artaviatx.com.